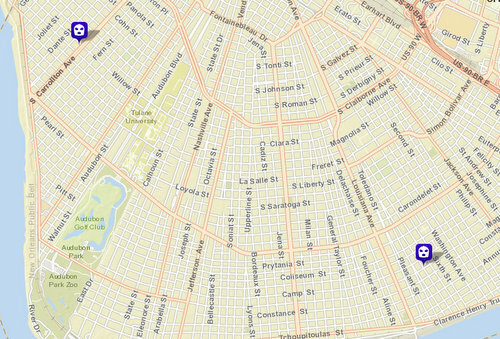 A UPS driver was robbed on Magazine Street of packages he was delivering, and a Subway restaurant was robbed at gunpoint in separate incidents a few hours apart Tuesday afternoon, New Orleans police said. The UPS driver, a man in his 50s, was in the 3100 block of Magazine around 1:30 p.m. Tuesday, May 26, when a man got out of a nearby vehicle with a handgun, according to the initial NOPD report. “He forced the victim back into his truck, took money from his pockets, two packages from the truck and fled the area,” the report states. In the other robbery, a man walked into the Subway restaurant at 1332 South Carrollton shortly after 5 p.m. and ordered food, according to the report in that case. Investigators have yet to release any additional details about either case. Anyone with information is urged to call CrimeStoppers at 822-1111 to leave an anonymous tip that could be eligible for a cash reward. New Orleans needs to do something about all of the crime, I am considering moving home from the west, but not if they cannot control the robberies? This is inexcusable. A UPS driver? WTF…….